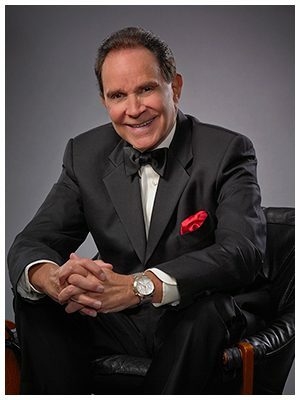 Experience the incomparable talent of Rich Little in his brand new show “Little by Little,” as he strolls down memory lane with all our favorite characters he’s met and been along the way. Told through his own incredible life’s story, you’ll get to see and hear Rich become many of the beloved actors, singers and politicians that have kept audiences enthralled for years. He’ll bring these personalities to life through jokes, humor, song and video, including his incredible self-sketched drawings of these people. Be amazed as he transforms and captures the likeness right before your eyes of such larger-than life celebrities as Humphrey Bogart, John Wayne, George Burns, Jimmy Stewart, Ronald Reagan, Johnny Carson, Frank Sinatra – plus many more. And for the first time ever, you’ll get to hear all the inside stories behind these famous impressions! This is a don’t-miss show!